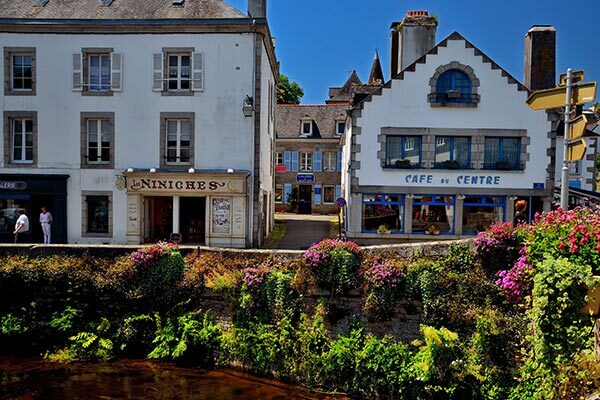 Pont-Aven, also named the City of Painters, is a small town in South-Finistère located about thirty kilometres from the 5-star Escale St-Gilles campsite in Brittany, bordered by the Aven river. 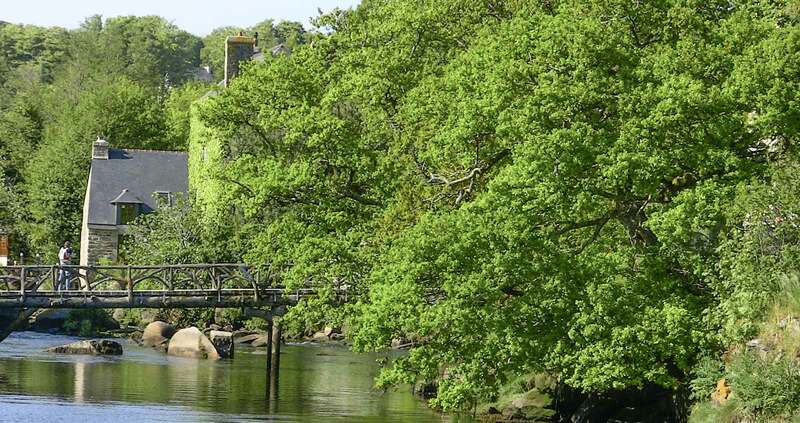 Renowned for its mills and harbour, Pont Aven has strongly inspired artists with the beauty of its landscapes and the richness of its architectural heritage. 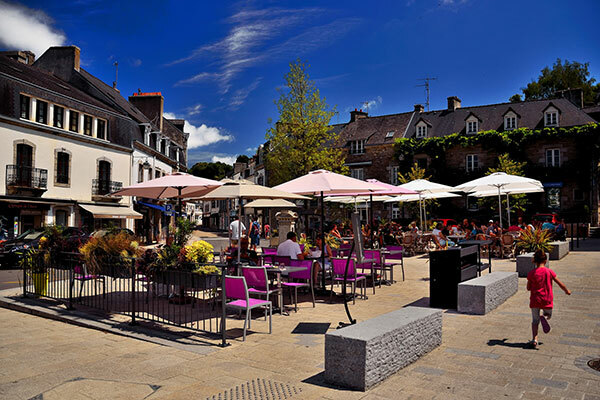 Invite yourself in Gauguin’s footsteps, in the enchanted city of Pont-Aven located in southern Brittany. 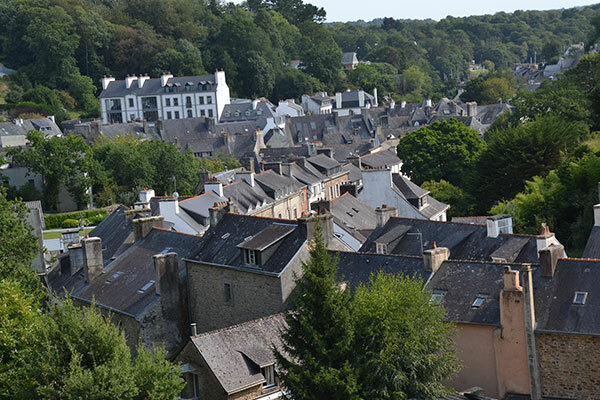 Renowned for its mills and its port, Pont Aven has attracted many artists in its nets: American poets, impressionists… Become a real centre of pictorial creativity, the city gave birth to the famous movement of the Ecole de Pont Aven. True jewel of culture, that site of great beauty will reveal itself to you. Stroll through the streets of the village, walk the tumultuous course of the Aven or go dreaming on the paths of the Bois d’Amour. Pont Aven also has a culinary heritage animated by authentic biscuits: their pancakes are famous throughout the region. Besides, the city offers many other sweet or savoury delicacies, to be discovered in the shops and on the stalls of the weekly market on Tuesday morning. Today the magic of the place remains intact. The Museum of Fine Arts classified as “Musée de France”. 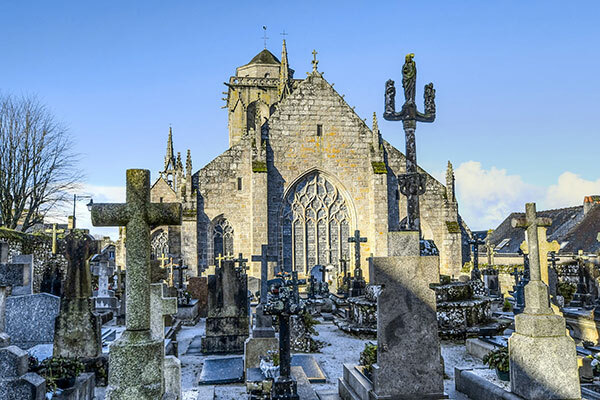 As early as 1865, a cosmopolitan colony of artists settled and painted in Pont-Aven. But it was only after 1886 that Gauguin, Bernard and Sérusier passed Pont-Aven on to posterity, bringing forth new pictorial ideas. The movement, now known worldwide as the “Pont-Aven School”, is considered to be the foundation of modern art. The adventure is discovered at the Museum of Fine Arts. Classified as a “Musée de France”, it has 850 works of art on display in the permanent exhibition and over the course of the 3 annual temporary exhibitions. A small commercial town since the end of the 18th century, known for its mills and port, Pont-Aven remainsa city dedicated to shopping. 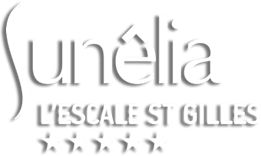 Whether it is tableware, contemporary furniture, fashion or jewellery, there is something for everyone! Renowned for its famous pancakes, the city offers many other sweet or savoury delicacies, to be discovered in the shops and on the stalls of the weekly market.